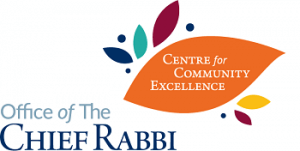 There were reports all round of a great community spirit and very high attendance across all aspects of Cardiff’s ShabbatUK programme, which benefitted from a visiting group of Ezra madrichim who ran a youth programme and spoke at the communal Friday night dinner. Shacharit on Shabbat morning was followed by a special Cholent Kiddush, and a trip to the local Jewish old age home where community members sang with members enjoyed a Seudah Shlishit. A guitar brought a musical element to the Havdalah ceremony. “We brought more people into shul than ever before for a Shabbat experience. The Ezra boys helped run a childrens programme on the night, enabling their attendance. It helped the community enjoy the experience and boosted the ruach we felt at the Seudah Shlishit that we enjoyed with the care home residents”. “Very nice dinner on Friday night with guest speakers from Ezra. On Saturday I had the Kavod of davening, followed by a hot Cholent Kiddush”. “Exceptionally well attended Friday night dinner – as a percentage of the membership the attendance was extraordinary. Lots of delicious and varied food, very good speakers and a fantastic atmosphere”. “I undertook to read the Haftorah for the first time in 43 years and found the experience most enjoyable and satisfying”. “Events like this bring people of all ages together. They reaffirm what being Jewish is all about”.